By Thomas E. Price, on behalf of the National Association of the 6th Infantry Division, Inc. The Sixth Division was organized in November of 1917 as a square division consisting of the 51st, 52nd 53rd and the 54th Infantry Regiments, the 16th, 17th and 18th Machine-Gun Battalions and the 3rd, 11th and 78th Field Artillery Regiments. The units of the division gathered in New York and left for France in July of 1918. After marching and training all over western France, the Sixth was assigned on August 31st to the Vosges sector. There, a chain of lofty wooded peaks had stalemated both the French and German armies. Their mission was the defense of a 21-mile. The Division engaged in active patrolled in No Man’s Land and behind the Boche lines. Daily German artillery concentrations of high explosives and gas shells kept the 6th supporting artillery busy with counterbattery fire. In addition infantry platoon strongpoints defended against German raiding parties which launched their attacks using liquid fire and grenades. The Division developed its reputation for hiking when, prior to the Argonne Offensive, it engaged in extensive fake marches, often under enemy artillery and air bombardment, to deceive the Boche into thinking a major attack was to take place in the Vosges sector. Relieved and reassigned on October 10, 1918, the 6th Division hiked to an assembly area, marching over mountains and broken trails, usually in the dead of night. After another short period of training, consisting primarily of forced marches, the Division hiked itself into the closing campaign of the war, the Meuse-Argonne offensive. In Corps reserve, the 6th was used in place of an unavailable cavalry division to try to maintain contact with the rapidly retreating Germans. Pulling machine-gun carts and ammo carts by hand, the best hiking outfit in the AEF marched from one front to another, usually on muddy bypaths and rain-soaked fields, to establish and incredible record of forty hiking days in a sixteen-day campaign. Finally moved to another part of the front to maintain the brunt of the attack, the 6th reached the assigned area on the scheduled date, November 12, 1918, to find the war at an end, its reputation as the “Sightseeing Sixth” assured. During its three months at the front, the 6th Division lost 227 men killed in action or died of wounds. It maintained an active defense in one important sector and played a major role in the tactical plan in another. The men of the 6th had distinguished themselves in combat, many earning the Distinguished Service Cross and Croix de Guerre. The Division was highly commended by General Pershing for its contribution to the final victory. After the Armistice, the 6th continued its hikes through France and Germany to spread the fame of the six-point Red Star, adopted as the Division insignia on November 19, 1918. The bulk of the Division returned to the States in June of 1919 aboard the USS Leviathan. 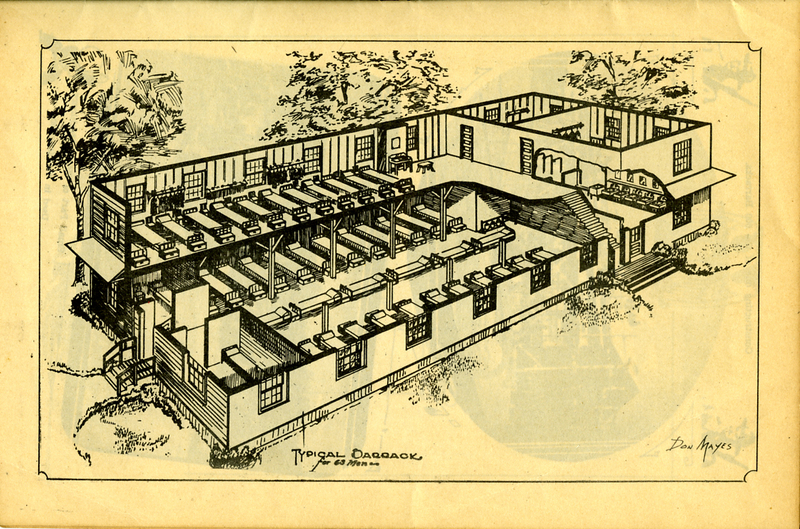 The Division continued its service at Camp Grant, Illinois and was deactivated on September 30, 1921. II. The 6th Division in World War II. The 6th Infantry Division of World War II holds the unchallenged record for consecutive days of continuous combat in the Pacific Theater, 219 days of continuous combat, set by the Division on the Island of Luzon, the Philippines. At the end of World War II, the Division’s men were the most heavily engaged troops in the United States Army still fighting Yamashita’s men in the Cagayan Valley of Northern Luzon. During the War, the men of the 6th Division fought a total of 306 days of combat. Casualties for the 6th Division totaled 1,174 dead, 3,876 wounded and 9 missing. Japanese casualties fighting the Division totaled 23,000 dead and 1,700 captured. Before the long battle for Luzon, the Division’s baptism of fire came in a battle at Maffin Bay, New Guinea, known as the battle for “Lone Tree Hill.” It was to prove to be “the bloodiest ten days in the entire New Guinea campaign to take a stubbornly defended hill from a determined and well-entrenched enemy.” The battle took place in a larger campaign better known as the Wakde-Sarmi Operation West of Hollandia, in then, Dutch New Guinea, now Iryan Jaya. The Battle for Lone Tree Hill, which the Division Spear-Headed, included the type of merciless fighting, against an elite and heavily entrenched Japanese Infantry, only encountered elsewhere in New Guinea by the 32nd Infantry Division at Buna and the 41st Infantry Division on the Island of Biak. B) Reactivation of the Division and Preparations for War. On October 12, 1939, in the wake of the German Wehrmacht’s conquest of Poland, the War Department reactivated the 6th Infantry Division in a simple ceremony at Ft. Lewis, Washington under the command of Brigadier General Clement A. Trott. True to its “Sightseeing” reputation, the Division remained at Ft. Lewis less than two months before beginning forty-six months of training and division building that would take the “Sightseers” to nine different army camps and post before its assignment to the Southwest Pacific. First stop for the Sixth was Camp Jackson, South Carolina where the original components of the Sixth Division were assembled: the 1st, 3rd and 20th Infantry Regiments, the 1st and 80th Artillery Regiments, the 8th Medical Battalion and the 6th Engineer Battalion. After numerous reorganizations and more “sightseeing,” the scattered units of the Division were assembled at Ft. Leonard Wood, Misouri, in the latter part of May 1941. The final unit line-up for the Division was as follows: the 1st, 20th and 63rd Infantry Regiments (the last having been organized from a cadre of the 1st Battalion and the 3rd Infantry Regiment), the 1st, 51st, 53rd and 80th Field Artillery Battalions, Headquarters and Heaquarters Company, 6th Military Police Platoon, 6th Cavalry Reconnaissance Troop, 6th Signal Company, 6th Engineer Combat Battalion, 6th Medical Battalion, 706th Ordnance (LM) Company, 6th Quartermaster Company, Headquarters Special Troops and Division Band. Countless new recruits filled Ft. Leonard Wood during June and July of 1941 as the Division built its forces for the strenuous training that lay ahead. 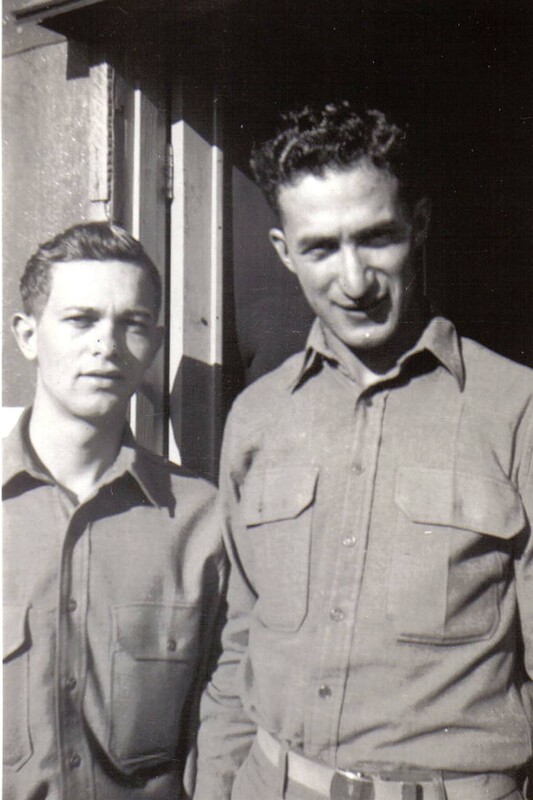 Most of the men of the Division were enjoying a well-earned 15-day furlough after participating in the Louisiana Maneuvers when the war came on December 7, 1941. Ft. Leonard Wood became a beehive of activity, under the command of Generals Clarence S. Ridley and Julius Ochs Adler, as the members of the 6th became a “training division” assisting in training as more recruits flowed into Ft. Leonard Wood to build newly formed organizations and divisions for the burgeoning war effort. In September of 1942 the Division took part in the Tennessee Maneuvers as a part of training for troops expected to be sent to Europe. In October 1942 General Franklin C. Sibert, who had served with General Stillwell during the Burma Campaign, who intimately understood Jungle warfare. On November 25, 1942, the Division was ordered to the desert of Arizona and California where they were trained with the expectation that they would be sent to North Africa as a mechanized infantry division. There in the desert, with the expectation that they were to be sent to North Africa, the Division were trained with a new, and then, secret-anti-tank-weapon, the Bazooka. Due to the unexpected success of troops in North Africa combined with General MacArthur’s desperate need for troops in the Southwest Pacific and General Sibert’s background, an abrupt change in plans sent the 6th Division in March of 1943 to Camp San Luis Obispo, California. The Division was headed for New Guinea. Now assigned to the Sixth Army under the leadership of General Walter S. Krueger, the Division was in for a new round of training, this time in the art of Jungle warfare. San Luis Obispo was an even more intensive and competitive place to train with emphasis on practicing close, fast combat, rapid movement and synchronized, to-the-minute maneuvers. Perimeter defense and offense would be the rule in every engagement. In the Jungle, the front would be everywhere and the war would be fought on the squad level. In July of 1943 the Division set sail for Oahu, Hawaii for Jungle training. The only thing missing in the Hawaii training would be the mud and the jungle diseases. The men trained hard day and night improving their skills at learning to fight at an instant, in the dark with the enemy a few yards or feet away. They were briefed by the survivors of Buna-Gona and by the Australians who fought so heroically on the Kokoda Trail against the Japanese in 1942. The Jungles of New Guinea were one of the most merciless places on earth, filled with diseases, for many of which, there was no known cure. In 1942 the Jungle had caused more casualties than combat, and the jungle could kill. As for the enemy, the men were briefed that the Japanese did not obey the Geneva Convention. Hard experience in Burma, Guadalcanal, Kokoda and Buna lead the way. No medic would wear a red cross. A red cross was a target. No wounded man would cry out “medic;” instead code names or terms would be used. The Japanese understood English and a cry of “medic” was an invitation to be shot. The Japanese knew that troops without someone to care for the wounded were more likely to panic and make mistakes that would get them killed. The Japanese were tough and merciless fighters. They were experts in night fighting. They would kill or torture you if you surrendered and would view your surrender as a sign of your weakness and inferiority. The Japanese had been trained from youth in the Bushido-Banzai cult of death. They would have no greater glory than to kill themselves with you along with them. The men of the 6th Division were to learn that these stereotypes, while not always true, were all too frequently what they would encounter. Too often, Japanese attempting to surrender intended to kill you. Stories of Americans being butchered while attempting to surrender were a part of the briefings. The fighting would be without mercy. C) Milne Bay, New Guinea and First Encounters with the Japanese Forces. The 6th Division landed in Milne Bay, New Guinea on February 2, 1944. The Division set up Camp near the Australian Forces in a place that was a palm tree plantation owned by the Palmolive Palm Oil Company. The men were told that they would be fined if they cut down the trees. The first Japanese shot was wearing an American Uniform. He was assumed to have been a scout or a spy. A 6th Division medic shot him. There were problems with Japanese snipers in the trees at Milne Bay. The trees came down, or their crowns were cropped and pruned with machine guns. There was no more talk of fines for trees. 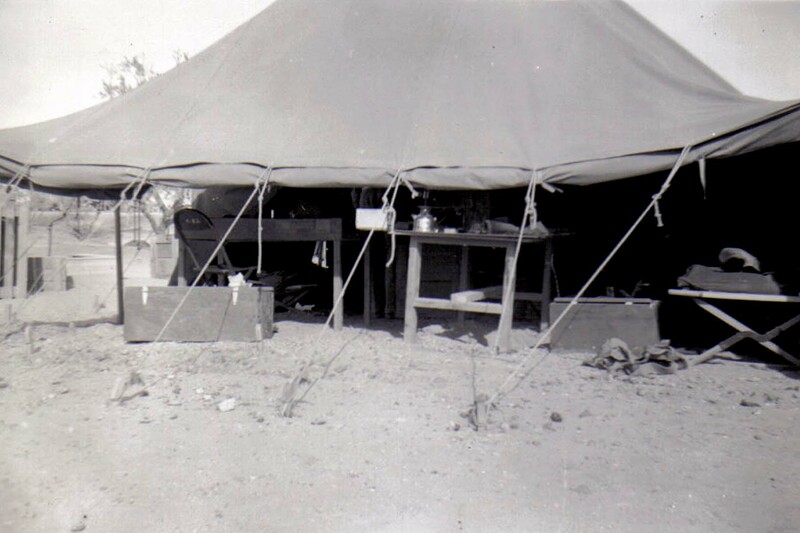 The Jungle was cleared and camp was set up with all tents 12 inches above the ground to keep out the rain, the mud and the leeches. More clearing of the undergrowth was undertaken as the first line of defense against the Jungle with the teaming masses of insects that carried the deadly scrub typhus, dengue fever, malaria, yellow fever and elephantiasis. Even if supplies of food would run low, as they would, the supplies of cigarettes and atabrine (for malaria) were assured. In the hot dank musty jungles of New Guinea, the sightseers would learn about jungle rot and the exhaustion of battling the environment on a daily basis. Patrolling and preparing for combat continued. Slogging through mud and Jungle infested with leaches and malaria-carrying mosquitoes, the men of the Sixth learned what it was like to sleep in foxholes filled with mud and water smelling of mold and rotting vegetation. The men learned that Jungle rot and fungus would not be confined to their feet, but would grow anywhere opportunity arose. Patrolling continued as the men waited for orders and for adequate supplies and ammunition. Macarthur ordered General Kruger and General Siebert to prepare the men for their next assignment. General Kruger demanded adequate ammunition and supplies for his men, many of who had already had to endure a period of short supply that included food supplies consisting of three chocolate bars to stretch through a week. Worries about whether supplies would be off loaded mounted. Some men feared there would not be enough ammunition and wrote home for family members to send them a knife in the realization that night fighting could mean hand-to-hand combat when the ammunition ran out . General Krueger demanded supplies or there would not be any movement anywhere. At one point, frustration with ships that were not off-loading supplies and rumors that this was due to strikers in America quickened tempers and threats were issued to have them blow them out of the water if they failed to start off-loading within the hour. The supplies were unloaded. Soon, the Division was ordered aboard LSTs headed for a landing at Finchhaven for more supplies and their first major offensive at Toem at Maffin Bay in Dutch New Guinea. D) The Battle for Lone Tree Hill, Maffin Bay, New Guinea. Relieving the overwhelmed and exhausted troops of the 158th Regimental Combat Team at Toem, the men of the 6th Division entered battle on June 20, 1944 against the full strength of the Imperial Marines of the Japanese 36th Infantry Division which was composed of the 222nd, 223rd and 224th Infantry Regiments under Lieutenant General Hachiro Tagami. Battle hardened and experienced from war in China, these seasoned and well-led Japanese forces, totaled over 8,000 troops which had been underestimated by more than (estimated at 3,000 troops) half when a single regiment, the 158th Regimental Combat Team of the Cyclone Task Force, had been sent in against the Japanese 36th Division while the 41st Infantry Division’s 163rd Infantry Regiment landed to take Wakde Island off the coast of Maffin Bay. The Japanese at Maffin Bay were an experienced fighting force and the fighting that had started with the 158th Regiment taking the offensive soon disintegrated to the point that the Americans had to withdraw in the face of withering fire from the Japanese machine gun emplacements in and around Lone Tree Hill and two other hills. On the night of May 30, 1944, the Japanese attacked the 158th perimeter overrunning gun positions and turning the weapons on to the Americans. Fighting disintegrated into brutal hand-to-hand combat before the Japanese could be driven off. During the battle a wounded and captured soldier of the 158th Regiment was tied to a tree and bayoneted to death. By the time the 6th Division was assigned to relieve the 158th Regiment, the 158th had lost seventy dead and two hundred fifty seven wounded. The Japanese forces had been hurt, but the battle to come would be no less brutal. The Sightseers of the 20th Infantry Regiment would spearhead the assault with the 1st Infantry Regiment protecting their right flank at Rocky Point and the 63rd Infantry Regiment protecting their left flank. Before the assault took place, the hill was bombarded with artillery. Air support dropped gasoline belly tanks on the hill and strafed them to set them ablaze. A medic with the 20th Infantry, Thomas W. (“Jack”) Murphy from Kentucky, watched from the beach at Lone Tree Hill and saw that the hill seemed to be honeycombed with caves. Unknown to Murphy and his fellow Sykesmen, the total entrenched defenders of Lone Tree Hill amounted to about 850 troops with seven 75mm Mountain Guns which were supported by another 1,000 troops in the immediate area and another 2,000 just west of Lone Tree Hill. Lone Tree Hill was one of the first encounters by United States forces with Japanese Cave and Tunnel Warfare. Murphy accompanied the initial patrol into the area to determine the best route of attack. A shot rang out and a soldier crumpled to the ground. Latter he watched, horrified, as a grenade tossed into a cave by GI was tossed back. An American infantryman with no time to think flung it back into the cave in one quick motion before it exploded in a shock wave and debris. The patrol reached the top of the hill. Murphy noticed that the top was, essentially a big flat chalk-colored coral rock. Except for a big old hardwood on the ocean side of the hill, the bombardment of the hill had cut down the few trees that had been there. Unknown to Murphy and his comrades, the Japanese had built a cleverly camouflaged observation post from that still standing hardwood tree, about one-hundred feet above ground where they could observe the movements of the men below. The patrol moved back to the beach to report and to prepare. The next morning Murphy watched as eighteen P-47sfirst strafed, bombed, and dropped their belly tanks on the hill below before strafing again to set them ablaze. At 8:30 a.m. the 20th Infantry Regiment embarked, laden with as much ammunition as they could carry. Murphy, a part of the third battalion and loaded with medical supplies, headed up with them. Only scattered rifle fire marked the first part of the ascent. Then Japanese Nambu machine guns opened up and the regiment was pounded with mortar-fire. Men dropped for what cover was available. Fire appeared to come from cave openings and crevices. Fire was returned and the men struggled on. By noon the men of the third battalion had made their way to the top of the flat coral top of the hill. The second battalion arrived shortly before dusk and the men worked frantically to create what defenses and fortifications they could atop the coral rock. At dusk the ominous crack of two Japanese sniper shots rang out to, simultaneously, cut a radio antenna as well as a communication wire below. Men were rightly concerned that the Japanese had planned to allow them to reach the top for no good reason. There was no place to dig in on the hard coral surface of the hill that night and most of the trees were, by then, shredded stumps or logs from the artillery barrage. The 20th Infantry regiment was in for a night in hell. With nightfall came the rain and with the dark came a brutal and furious Japanese counter offensive from all around the two battalions. American Machine Guns and BAR’s opened up to screams of “banzai” as the Japanese charged the perimeter firing as they came. The Japanese emerged from inside the perimeter and some of the fighting disintegrated into hand-to-hand combat. Soon even the supply lines would be cut off as the Japanese fought to work their lines behind the two battalions to cut them off from the rest of the Sixth Division. Their 75mm mountain guns were rolled out to open up on the American forces below. As the rain came down in sheets from the pitch-black sky, Murphy crawled on the hard coral surface to the cries of the wounded, moaning and screaming around him. The battle roared around Murphy as tracer rounds crossed the air. At one point a BAR man, Tony, was hit. Someone shouted, “Tony’s wounded!” The Japanese picked it up and shouted, “Tony’s wounded, hold your fire, Tony’s coming in!” The American’s did not fall for it. Still the Japanese appeared inside the perimeter and the fighting disintegrated into hand-to-hand combat. Some wearing American uniforms and employing American weapons used this as a ploy to get inside the American lines. Murphy had no rest. He crawled, although blistered and bleeding from a bullet graze to the stomach, all night, bandaging one man and then the next. Some he bandaged, offering what comfort he could, while knowing full well they had no shred of hope. Morning came and the battle stopped. Murphy gazed down to see a green carpet of dead Japanese soldiers covering the hillside below. Some were piled up like feed sacks where an American machine gunner had cut down an oncoming charge. The tropical sun came out and beat down on the weary men who hugged any crevice in the coral rock to avoid becoming the target of a sniper’s bullet. Murphy, still tending to the wounded, thought that the litter bearers would soon arrive to evacuate them. He was wrong. The two battalions were cut off. 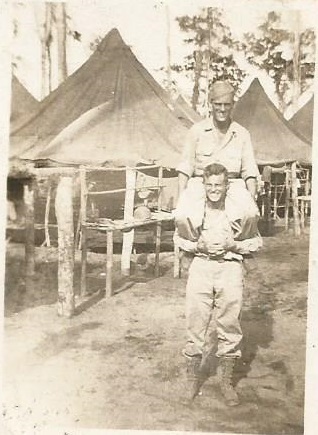 Weary and without rest, Murphy continued working on the wounded that day. Water became low and so, too, was the ammunition. By late afternoon the second battalion had managed to work around the Japanese lines to reform the perimeter between the two battalions. Small patrols of volunteers from below had worked their way between the Japanese strong points to deliver ammunition and supplies from the rest of the Sixth Division. The night and the rain came again and the men used their helmets to catch it, refilling their canteens. Once again, the Japanese mounted a furious and concentrated attack, this time from the northeast side of the hill. The Japanese kept coming and the Americans, once again were in for a night of unrelenting battle. Murphy had no time to think of his own safety. Beyond exhaustion and fear, Murphy simply kept at it, going from one wounded man to the next throughout the night recalling the screaming, the barrage of weapons fire, and the unrelenting rain punctuated by bolts of lightning that captured the battle scene like macabre snapshots in the blackness. The battle relented as the tropical day dawned to the scene and smell of rotting bodies. Once again, the soldieries of the 20th Infantry hugged the rock and tried to rest as well as they could in the tropical heat. Below, the Japanese bunkers would have to fall by way of demolition teams, one by one, to reach the trapped regiments. In retrospect, it appears that the barrage of fire (720 rounds of 105mm and 155mm into an area 400 yards by 600 yards plus bombing from 18 P-47s, not to mention the gasoline) that helped the 20th Infantry to the top of Lone Tree Hill had only stunned the Japanese who had hunkered down inside the caves until the bombardment and shock had relented. On the morning of June 24th, the 1st Infantry regiment moved in from the West to cut the Japanese off from reinforcements. During the night of June 24th 1944 the bulk of the Japanese defenders of Lone Tree Hill used the darkness to retreat, leaving behind nearly 700 dead above ground. In the rear, the fighting became so desperate to break through the Japanese fortifications and reach the trapped battalion that no one was spared from combat duty. An MP recalls that even they were enlisted to fight. It had not happened before, and as he recalled, it never happening afterward, but at Lone Tree Hill everyone was enlisted to fight. The fighting for everyone was intense and the casualties came, even from friendly fire as the 6th Division learned, at high cost, the danger and confusion of doing battle in the Jungle at night. With the assistance of the 1st and 63rd Infantry Regiments, and the full resources of the entire Division, the 20th Infantry took Lone Tree Hill and at a high cost. Finally, the wounded and the dead were evacuated. Comrades watched as a convoy of trucks returned to the beach at Toem with bodies of fallen friends “stacked like cordwood” in the back of those trucks. The 20th Infantry Regiment, which had spend four desperate days and three hellish nights on Lone Tree Hill was relieved on June 25th by the 63rd Infantry Regiment which, with the assistance of Flamethrowers and artillery, finished the fighting and the securing of Lone Tree Hill. During the ten days from June 20 to June 30, 1944, in the Battle for Lone Tree Hill, the Sightseeing Sixth had suffered over eight hundred casualties, including over 150 killed in action. An estimated 1,342 Japanese were killed including 400 sealed in caves by demolition teams. More soldiers died in other battles in New Guinea, but the battle for Lone Tree Hill represented the bloodiest 10 days of the New Guinea Campaign. Fighting in the Maffin Bay area did not end with Lone Tree Hill. While the 20th Infantry Regiment was relieved to nurse its wounds, the combat continued as the 1st and 63rd Infantry Regiments assaulted three remaining strongholds, Hill 225, Hill 265 and Mt. Saksin from June 26 until July 12, 1944. The Maffin Airdrome was taken as well as a large supply of trucks, antiaircraft guns, searchlight and other equipment. The unwritten code of the men of the 6th Division hardened after Lone Tree Hill. Soldiers who witnessed the death of their close friends, if they did not learn to hate, learned to take no chances with the Japanese and to simply kill all enemy encountered. Orders were to accept surrender, but no surrendering Japanese were encountered at Lone Tree Hill among the hardened Imperial Marines of General Tagami’s Division sworn to defend the Maffin Airdrome at all costs. On the squad-level, the reality was to take no chances, which meant take no prisoners, to never surrender and to kill every Japanese encountered. The battle-experienced survivors of Lone Tree Hill were now unalterably changed. The face of that first battle at Maffin Bay was a harsh teacher. E) Sansapor and the Vogelkop Peninsula. On the extreme western tip of New Guinea lies the Vogelkop Peninsula jutting out like a giant bird’s-head. There, at Cape Sansapor, after a massive bombardment of the coast, the 6th Division landed unopposed on the morning of July 30, 1944. Japanese were encountered. They were retreating. Any displaying any sign of resistance were immediately killed. Others who submitted were captured and taken as prisoners. The Japanese forces here, were not the elite forces of Maffin Bay. The Japanese at Sansapor were poorly organized and most were not looking for a fight. Many were disillusioned and no longer subscribed to the cult of bushido. At Sansapor, the 6th Division set to work, almost immediately, to build a large airstrip for continuing the assault northward to the Philippines and Borneo. Throughout the 6th Division’s stay at Sansapor, it would be involved in intensive Jungle patrolling to root out any Japanese resistance. In the Jungle, the enemy was discovered, usually when the point-man was shot. The fighting which followed was typically short and furious. The heaviest casualties at Sansapor were from the Jungle. An outbreak of scrub typhus in an area of Kunai Grass brought with it nine dead. In the weeks ahead more than 1800 cases of scrub typhus were treated by Red Star Medics working for 24 hour stretches or longer in treating the stricken men. With scrub typhus, a disease carried by a tiny mite, the afflicted soldier would have malaria-like symptoms which nothing, including atabrine could treat. Many would simply experience fevers and chills until they died. Simple treatment for fever, hope and time were the only remedy. For many of the afflicted who did survive the only hope was evacuation. For them, their war in the Pacific was over. Areas of Kunai Grass were burned and the Jungle was sprayed with DDT. Swamps were drained. All clothing was washed in a soup of DDT. Men dusted themselves with DDT. No one forgot to wear his clothing which was both dusted and soaked in DDT. During their time in Sansapor, the 6th Division continued to patrol and train deep into the Jungle, preparing for their next assignment. Enemy bombing raids were few, but one such raid scored a direct hit on the Division Command Post, killing five officers and men and wounding eight others. Nightly movies broke the monotony of constant patrolling and now, ship-loading as the Division prepared for invasion of the Philippines. 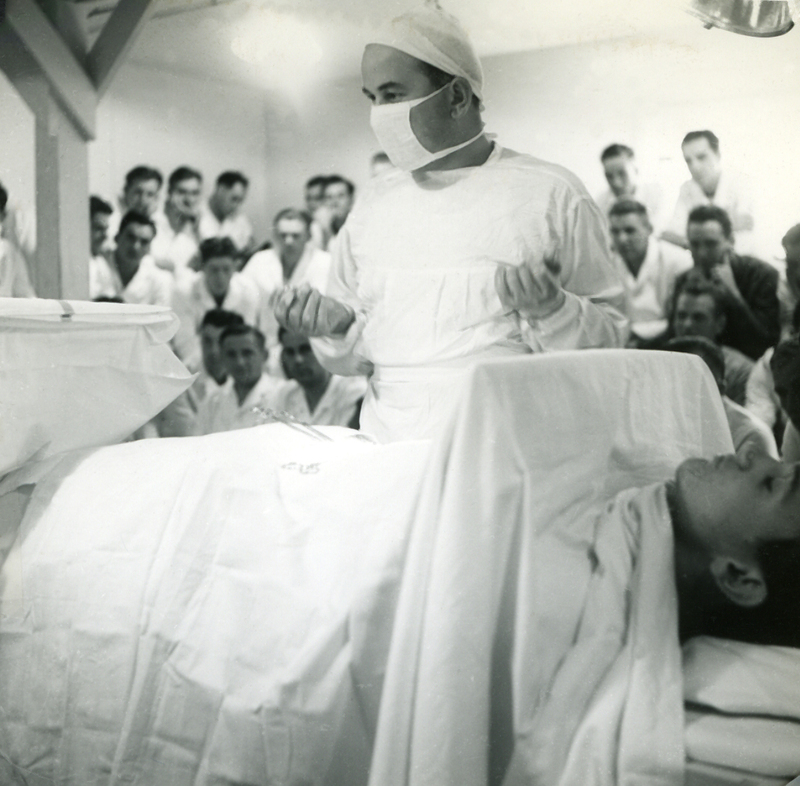 American Japanese Interpreters assigned to intelligence with the 6th Division helped save many lives at Sansapor. The language team decoded a captured enemy map and the location of troops converging for a massed attack was located. A barrage of artillery fired started precisely 15 minutes before the decoded attack was scheduled to commence virtually wiped out the enemy forces. Thus an infantry battle that could have cost many lives was spared by the efforts of Japanese Americans serving with the Sixth Division. In September of 1944, Major General Edwin D. Patrick assumed command of the 6th Infantry Division after General Sibert was promoted to commanding General of X Corps. Capable and respected, General Patrick was destined to lead the Sightseers through the greatest amphibious operation of the Pacific war, at the Gulf of Lingayan only to be killed and buried alongside his men on March 14, 1945 during operations against the Shimbu Line near Bayanbayannan, Luzon. Then came the constant loading of ships and more ships with supplies and equipment preparing for the Divisions next destination. On December 29, 1944 the men set sail from Cape Sansapor thankful that they were finally leaving the Jungles of New Guinea hoping never to return. F) Lingayan Gulf and Luzon, the Philippines. On New Year’s Day of 1945, the 6th Infantry Division was sailing in the largest landing force to be assembled in the Pacific for its landing at Lingayan Gulf, Luzon. They were facing General Yamashita and 250,000 combat-hardened troops who were well fed and well armed determined to bleed the American’s white on Luzon to prevent the invasion of Japan. While sailing through the China Sea on January 7, 1945 one of the 6th LST’s was struck by a Kamikaze. Some damage was done to the ship and men were wounded but the LST continued to hold its place in the convoy. On the night of January 7 at 2300 hours, a naval bombardment commenced in anticipation of the impending landing. On the morning of the 8th there were more attacks by aircraft and by Kamikazes mostly ineffective, except for a place that hit the quarterdeck of the USS Calloway. Several Navy personnel were killed. On the morning of January 9, 1945 the greatest amphibious landing in the Pacific commenced with the 6th, 43rd and 37th Infantry Divisions landing unopposed. Japanese bombardment soon commenced, however, and the 6th Division’s battle for Luzon would continue unabated for the next 219 days. The Island of Luzon was a much more civilized experience for the men of the 6th Division. There were still some areas of jungle, but this was not the intense tropical rain forest of New Guinea. There were towns, roads and an environment more like the Mediterranean than the Tropics. The 6th Division first encounter with organized resistance came on the Santa Barbara-Catablan road where it ran into concentrated artillery, machine gun and small-arms fire. The enemy attacked from well-concealed positions and the 6th were at a disadvantage due to the flat terrain and superior numbers of the enemy. The 6th withdrew and a counter-offensive from the 2nd Battalion of the 1st Infantry moved in to capture the Japanese held strong point. 1) The Purple Heart Valley Campaign. The 63rd Infantry Regimental Combat Team (RCT) spearheaded the next battle, known by the men as the “Purple Heart Valley Campaign,”. So named for obvious reasons, this would prove to be the toughest battle of the Lingayan landing. The 63rd Infantry was opposed by a heavy concentration of enemy mortar and artillery fire from the 8,000 of the Japanese known to be occupying strong defensive positions in the hills south of the Damortis-Rosario highway where fortifications included an intricate system of tunnels and caves hiding 60 artillery pieces and reports of 11,000 troops. Throughout the sector the terrain favored the enemy. Advancement from January 10th through the 31st assured heavy casualties on both sides. The 63rd Infantry regiment suffered 489 casualties 103 of which had been killed. The Japanese suffered 971 killed. Only 4 were captured. While the 63rd RCT was seizing the high ground overlooking Damortis-Rosario, the 20th and 1st Infantry Regiments continued their southward advance toward Manila. In the battle of the Cabaruan Hills which followed, the Japanese had pledged a suicidal defense of the area. The two Regiments, the 1st Infantry with the support of a tank detachment, faced an enemy well entrenched and hidden in ground honeycombed with foxholes, prepared earthworks and pillboxes making observation of the enemy impossible and forcing troops to proceed with the utmost caution, probing weaknesses in Japanese defenses. Casualties suffered included 198 wounded and 81 dead. For the Japanese, 1,432 were killed and 7 were captured. The battle was concluded January 30, 1945. In the next engagement, at the town of Munoz, the 1st, 20th and 63rd regiments converged with tank and artillery support where the largest concentration of Japanese armor was to be encountered in the war. On January 30th Company K of the 20th Infantry came under such intense fire that a smoke screen had to be laid down to effect their retreat. The town of Munoz offered excellent defensive positions for the Japanese and their well fortified and entrenched defenses which included 56 tanks. It quickly became obvious that this small town was going to take the entire Division, plus support from American tanks and heavy artillery. Over the next five days, intense fighting continued as the forces of the 1st and 63rd Infantry cut off the Japanese escape route. The culmination of the battle and the penetration of the town were sparked by the heroic actions of Technical Sgt. Donald E. Rudolph, of the 20th Infantry Regiment, whose destruction of a whole line of enemy fortifications earned him the Medal of Honor. After administering first aid to two wounded men in a forward area and killing three snipers in a near-by culvert, Rudolph crawled 75 years across open terrain, threw a grenade through the embrasure of a machine gun position, then tore a hole with his bare hands in the wood and earth covering of the pillbox to drop a second grenade, killing all occupants. He picked up an enemy pick mattock lying on the ground, stood up in a hail of machine gun and rifle fire to tear a hole in the top of another emplacement, and killed all enemy gunners and riflemen. In quick succession Rudolph disposed of six additional enemy pillboxes using his hands and the pick mattock to open the emplacements, and grenades and rifle fire to kill the occupants, though surrounded at all times by heavy machine gun and rifle fire from enemy covering positions. During the night of February 5th the enemy engaged in a counter-offensive using their entrenched tanks without success. On the night of the 6th they attempted to escape through what they appeared to believe was the path of least resistance, but which had been heavily fortified with American tanks, tank destroyers and Bazookas. There at 0330 hours they encountered the roadblock set up by the 63rd Regimental Combat Team, which made quick work of two tanks with 37mm cannon and .50-caliber machine gun fire. Further down the road the 53rd and 80th Artillery Battalions lowered their muzzles and fired at point blank range against the advancing armor column. The battle won with losses of 97 dead and 303 wounded of which 54 were from the 20th Infantry Regiment alone, the “Sightseers” moved on to their new assignment. Losses for the Japanese were 1,935 killed. There were no prisoners. 4) The Drive to the East Coast to Split Japanese Forces and the Retaking of Bataan. In the next engagement, while the 37th Infantry Division was fighting for Manila, the 20th Infantry with the 63rd Regimental Combat Team was ordered to drive to the East Coast of Luzon to effectively cut the forces of General Yamashita in half. Medic “Jack” Murphy recalled the liberation of the Cabanatuan Prison Camp by the Sixth Army Rangers a few days before, but nothing prepared him for what he saw when the 20th Infantry actually marched in to see the remnants of the shacks of the “death” camp where he knew more than 2,700 young American corpses lay naked and rotting “in a shallow and water soaked mass grave.” Murphy marched on. At the same time, the 1st Infantry Regiment began a Western drive across the Bataan Peninsula to cut off the enemy there. The 1st Infantry Regiment were the first troops to enter the central Bataan Peninsula since the infamous Bataan Death March. These missions accomplished, and Manila taken by the 37th Infantry Division, the Division’s regiments reunited to converge of the high ground of the Shimbu Line East of Manila where 14,000 Japanese troops were, again well fortified, entrenched in caves and earthen-pillboxes and prepared and determined to fight to the death. 5) Cracking the Shimbu Line. The Shimbu Line proved to be the harshest campaign yet for the weary soldiers of the 6th Division. Fought from February 20th through April 30th of 1945, the battles waged there proved particularly harsh and pitiless. Fighting was round the clock and every night proved the power of the cult of bushido as the Japanese launched banzai attacks. Main points in the strong Japanese defensive line were Mt. Oro, Mt. Pacawagan , Mt Mataba and Mt. Baytangan, all rising over 1,000 feet, heavily wooded and bristling with concealed weaponry. To many from the 6th Division, the Shimbu Line reminded them of the fighting at Lone Tree Hill. As the men of the 6th were soon to discover, it was “one damn hill after another” as the brutal fighting continued where every offensive was met with a counter offensive and a night attack. Caves were sealed with demolitions and bazooka fire. Flamethrowers and Napalm attacks from P-38s became commonplace as the Japanese were literally burned out of their caves and fortifications or buried alive. Here, over 6,500 were killed. For the 6th Division 107 were killed and 569 wounded. This campaing alone, represented 112 days of uninterrupted combat before success was achieved. During the operation, Major General Edwin D. Patrick was mortally wounded by an enemy machine-gun burst while watching an attack from a forward battalion observation post. 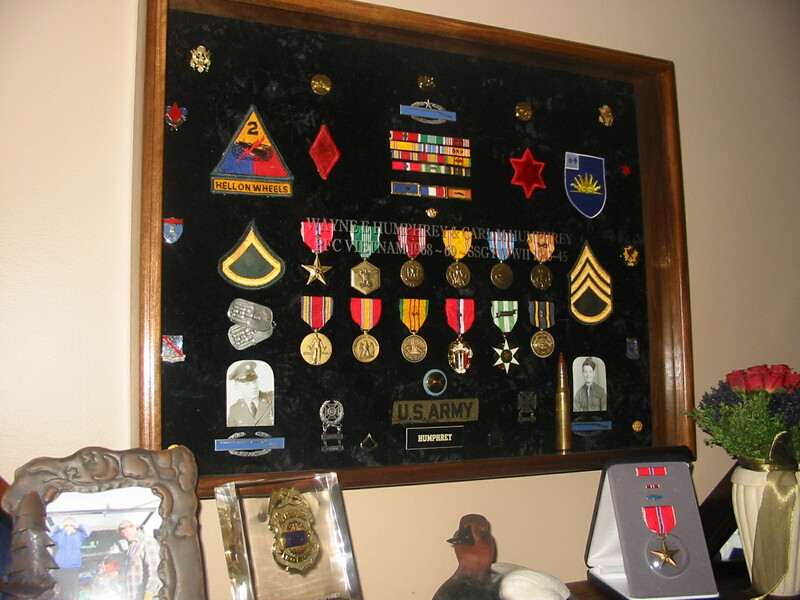 General Patrick was awarded the Distinguished Service Cross, posthumously. Major General Charles E. Hurdis succeeded Patrick and lead the 6th Division through to the conclusion of the War. During May through June 12 of 1945, the 6th Division was assigned to combat and mopping up enemy in the Central Luzon area, including securing the remainder of Bataan by the 1st and 63rd Regiments. Casualties there were lighter, with 17 killed and 106 wounded. The Japanese lost 1,320 killed. For the first time there were prisoners; 269 were captured. 7) Campaign in the Cordelleras, the Cagayan Valley and the Stronghold of General Yamashita. 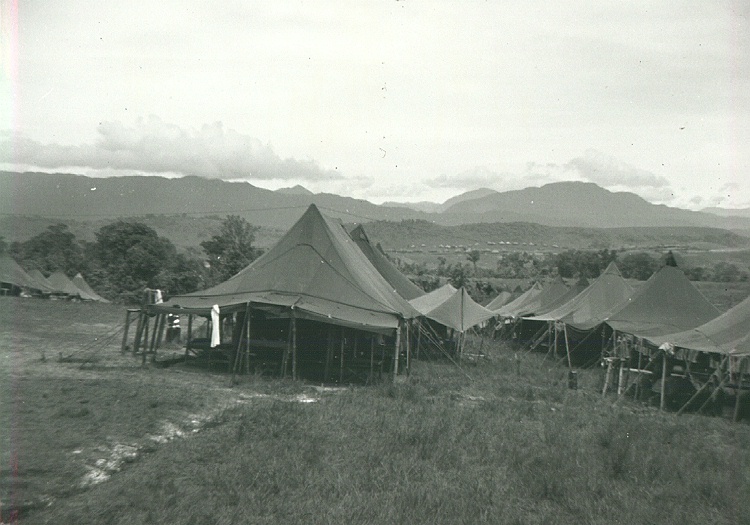 From Central Luzon to the end of the war, until August 15, 1945, the 6th Division was assigned to take the last stronghold of General Yamashita in the Cordellera Mountains and Cagayan Valley of Northern Luzon in an area of deep ravines and thick Jungle along what was known as Highway 4. The Highway was exceedingly poor and cover for the enemy was equally as substantial that found against the Shimbu Line. 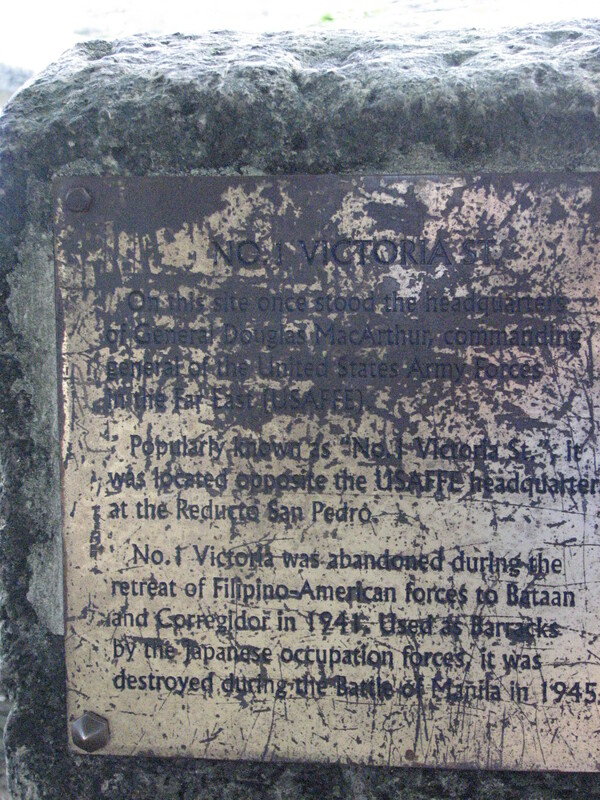 Here, with great assistance from Philippine guerilla forces, the 6th Division engaged in what would become their last battle of the war against an enemy still determined, in many cases, to fight to the death. As the 6th entered the last stronghold of General Yamashita intense fighting was encountered in the Bolog-Kiangan area near the Ibulao River by the 63rd Infantry Regiment from July 1st through July 12th, on the road to Banaue by the 1st Infantry Regiment and by the 20th Infantry which relieved the 63rd Infantry on July 24 and continued the spearhead of the fighting into August in the Mt. Puloy area of Northern Luzon. A seven-hour armistice was declared on July 24 while leaflet were dropped on the Japanese to attempt to allow surrender. Instead, they used the opportunity to prepare a counter-offensive. The 6th Division then launched their offensive, which included heavy artillery fire totaling on the Hill Objective, 96 tons of 105 mm shells, 53 tons of 155 mm shells, and 30 tons of 8 inch howitzer shells into the enemy hill fortress. When it was over, only seventeen Japanese surrendered. During the battle for Mt. Puloy, Corporal Melvin Mayfield continued an advance alone while his comrades of a Philippine Army Battalion were pinned down. There he moved by rushes up the steep slope into the converging fire from countless enemy emplacements. There he single handedly attacked an enemy cave position with white phosphorus grenades, destroying the emplacement and killing the occupants. Ignoring the increasingly heavy enemy fire, he continued charging emplacements in the Japanese outer line of defense destroying four cave positions and at least seven additional enemies killed before he ran out of ammunition. Although his left arm was useless from wounds, he returned to the hesitant Filipinos, obtained more grenades, and encouraged a light machine gun squad to accompany him on the return trip. After killing two more enemy and destroying another emplacement, Mayfiled rallied the battalion forward and led them in storming the hill. All enemy positions on the ridge were destroyed. These efforts earned Mayfield the Medal of Honor. III. The End of the War. Otto Marinich, of the 63rd Infantry Regiment, 1st Battalion, Company C, who won two bronze stars (one for his bravery in the terraced rice paddies of Northern Luzon and another for manning a flame thrower) and two purple hearts, recalled that it was General Yeon of the 63rd Infantry Regiment who volunteered his regiment to go after Yamashita. General Yeon wanted Yamashita himself because he had gone to school in the states with him and wanted to capture him. According to Marinich, a captured P-38 flyer was the person that helped negotiate the surrender of Yamashita when he surrendered from his last remaining stronghold. The 6th Division trucks were the ones that were to be used to transport the Japanese prisoners down the highway. As part of the surrender process soldiers along the highway were ordered to salute the surrendering forces. The 63rd Infantry, refused and so it was ordered 500 feet back off of the highway while the Japanese prisoners were transported into custody. Casualties in the Cordilleras were 432 wounded and 99 killed. The Japanese lost 7,792 with 925 who surrendered before the war was over. During the Luzon campaign alone the 6th Division had killed 20,480 enemy and captured 1,369 others. The rate of death for the Japanese had been 100 soldiers a day. During the same period the Division lost 853 killed in action or dead of wounds, 3122 wounded and 6 missing. At the War’s end the 6th Division were the most heavily engaged troops in the United States Army still fighting the forces of Japan. Those not returning home were eventually assigned to Inchon Korea where they would remain while policing the process of surrender of the Japanese troops still in Korea. For most of the men of the 6th Division returning home, it would still be months before they did return. During this time, most, near exhaustion, were fed and nursed back to health while being briefed and essentially deprogrammed. After 306 days of combat, the last 219 being continuous, all including even the medics, had learned to kill automatically. The men of the 6th Division had to gradually get used to the idea of not killing and not killing Japanese. They had to get used to the idea of no longer living with a rifle as a constant companion. In the years to come, many would continue to experience the effects of the war, including bouts of Malaria and flashbacks. Most would overcome these scars, repress memories of the worst horrors of the War and learn to appreciate the simple joys of life. All would be changed the ordeal, their survival and the loss of so many friends who sacrificed their lives at the peak of their youth. The Division was deactivated shortly before the onset of the Korean War in 1949. It was reactivated during the Korean conflict from 1950 to 1956 and again reactivated in 1967 as part of the Vietnam War buildup, but the Army decided it was not needed in Vietnam and it was deactivated in 1968. Since March 23, 1986, the 6th Division was reactivated as a Light Infantry Division as a part of the Rapid Deployment Force under President Reagan’s Administration and is now stationed at Ft. Richardson, Alaska. In 1989 the Division took part in a joint US-Japan training exercise in the “Orient Shield 89” Maneuvers. It was deactivated again in the 1990s. Both the 20th Infantry Regiment and the 172nd Stryker Brigade, the last remaining remnants of the 6th Infantry Division, have since had several tours of duty in Iraq. Sacrificed their lives in the War. I have endeavored to be as accurate as possible in my descriptions. If any information is not accurate please advise me. I welcome feedback. To all Japanese Americans, many of whom fought bravely to defend the United States, I apologize for any descriptions in my narrative that sound racist. That is not my intent. I know of many Japanese Americans that served bravely and honorably. My only intent is to be accurate. The time period is a particularly racist period in world history and I do not want to soft pedal that reality. The racism in America which created Japanese internment camps was shameful. However, the nature of War in the Pacific was dictated in very large part by Imperial Japan’s approach to the War which demanded a fight to the death and the sacrifice of so many of its young men even in the face of a chance for an honorable surrender. It was this undeniable face of war which soldiers in the Southeastern Pacific encountered. Fault for this lies at the feet of the Historic Military Leaders of Japan and their followers, not the Japanese people today. In my research I have been continually struck by how many lives of the Japanese were sacrificed for what seems, at first, to be little or no purpose. There is no doubt in my mind that Japan is so changed today precisely because of this terrible episode in their history. To this purpose of Peace may their dead be laid to rest with honor and respect. Taped interviews with Robert E. Price in 1998 and 1999. The Division Public Relations Section, The 6th Infantry Division in World War II, 1939 to 1945, (Battery Press 1947). Jennifer S. John, The Sixth Infantry Division, (Turner Publishing 1989). 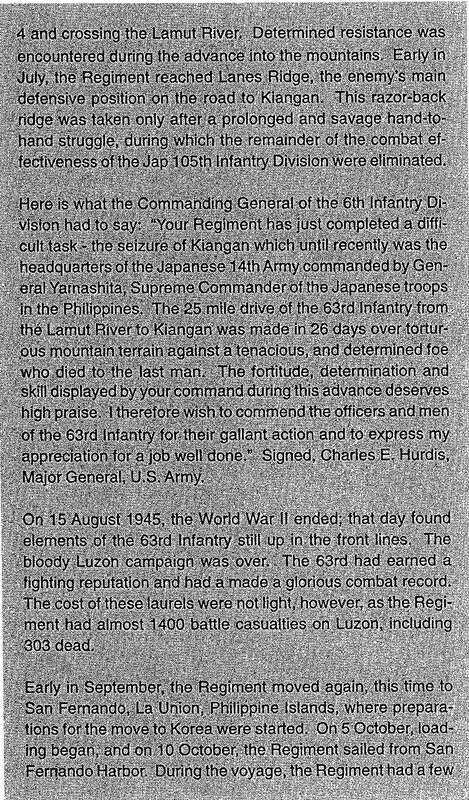 John L. Munschauer, World War II Cavalcade, An Offer I Couldn’t Refuse, (Sunflower University Press 1996)(Mr. Munschauer was a Lieutenant in K Company of the 63rd Infantry Regiment and served in Luzon). Albert E. Cowdrey, Fighting for Life, American Military Medicine in World War II (The Free Press, 1994). Michael Green, MacArthur in the Pacific, (Motorbooks, 1996). Nathan Prefer, MacArthur’s New Guinea Campaign March –August 1944, (Combined Books 1995). Eric Bergerud, Touched With Fire, The Land War in the South Pacific (Penguin Books 1996).